Happy Weekend! Stamping friends. I love puppies! 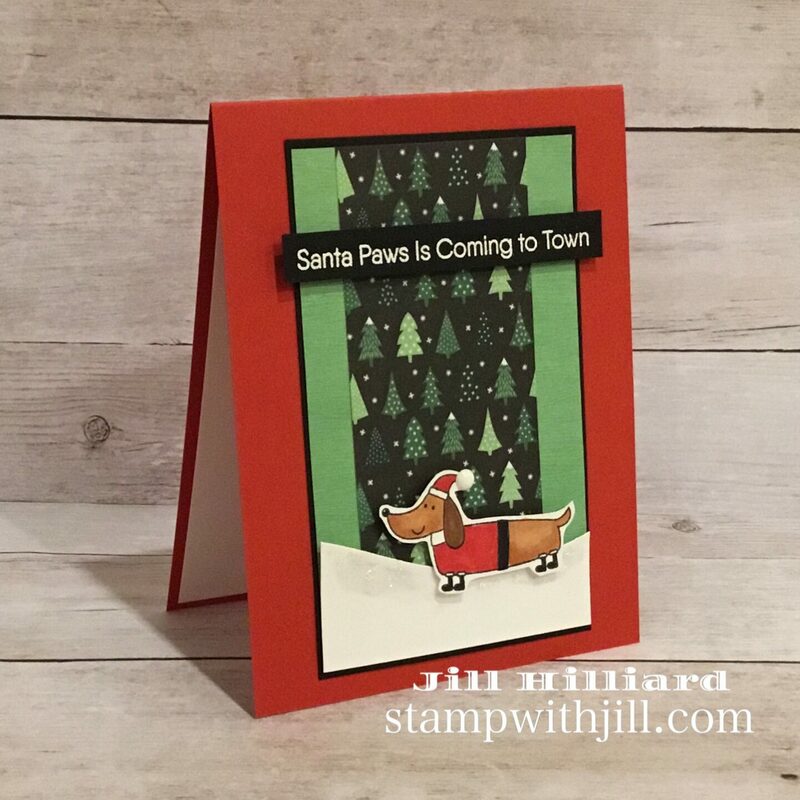 One of my favorite puppy stamp sets this season is the MFT stamp set called Deck the Howls. Stinkin’ Cute! 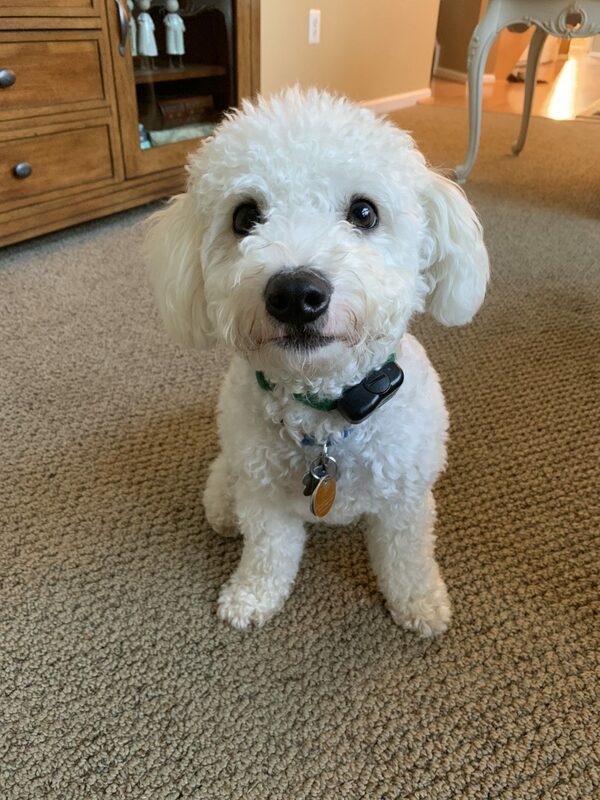 Don’t you think this puppy looks EXACTLY like Thomas? I do! He is my favorite from the set! Let’s take a look at Thomas really quick! Both are so cute and there is definitely a little resemblance. Short ears, short front legs… Love it! 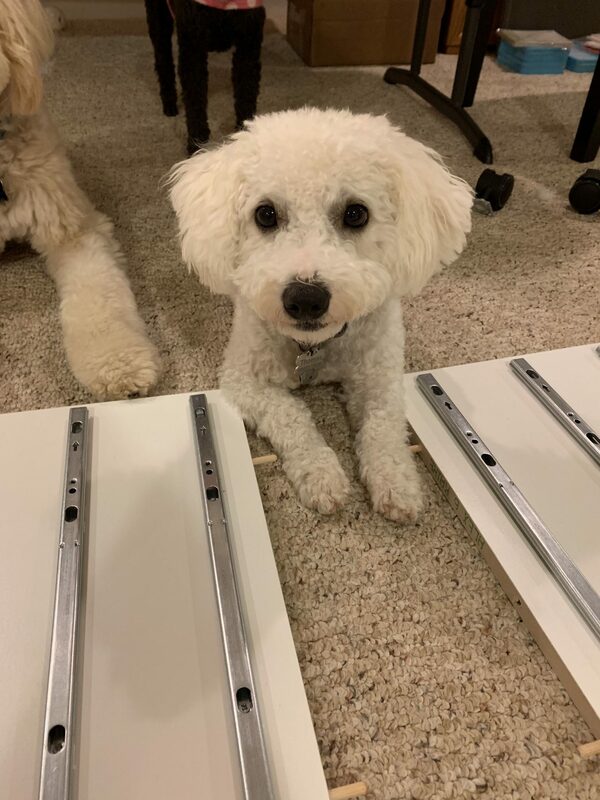 This was a shot of him helping me put cabinets together for my stamp room make over. Now onto another card. This one is clean and simple. The focus is on the gold bells (fashion gold) on his collar giving the puppy all the attention. After all that’s what they like. Hot diggity dog this dachshund is totally adorable too. Did you notice that I’m totally loving the “Deer Santa” 6×6 paper pack from the Spellbinders card November card kit? And all 3 of these cards use some of the extra components from the card kit, like the gold paper and the party burst dots. I only have about 5 sheets left of the Deer Santa fun 6×6 pad. You are going to see it on a lot of cards this week. Below you will find links to the supplies used to create these projects. 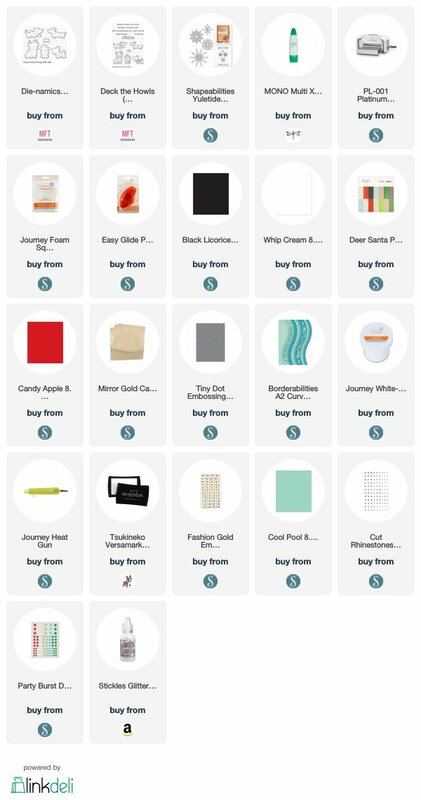 Click the icon for the store underneath the thumbnails to start shopping. Where available I use compensated affiliate links at no extra cost to you. Your support helps me to keep bringing you new projects and videos. Thank you! What ADORABLE cards!! I love all the fun ways you used that stamp set. Your pups are beautiful!